Exclusive contract appealed; businessman says lawsuits are no factor. An airport committee has given initial approval to award a roughly $2 million annual contract to a taxicab company whose president has a long line of legal woes. The contract would once again give Gator City Taxi exclusive rights to pick up airline passengers. 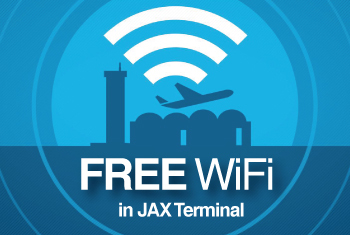 The company has been given preference by a Jacksonville International Airport awards committee, a decision the only other eligible company is appealing. If confirmed by the committee this week and approved by the airport director, it would be Gator City's second consecutive five-year exclusive deal. During the first contract, Gator City was owned by West Palm Beach-businessman Cullan Meathe. Since 2007, Meathe and nearly 20 companies he owns have been listed as defendants in 14 federal lawsuits. Meathe said Gator City's parent company during the first contract, Jacksonville Transportation Group, has ceased operations and so his past legal issues should not be a consideration. He says he has no ownership stake in the new parent company. "You are trying to connect dots that are not there," he said in an interview. "I have no ownership stake in the new company. I serve as the president." Gator City is currently owned by Pensacola Transportation Group LLC, which was started in July 2010. Meathe is listed as the only managing member on incorporation papers with the state. The company is headquartered on 1635 Meathe Drive in West Palm Beach, the same listed mailing address for Jacksonville Transportation Group, according to state records. 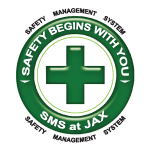 The original company closed shortly after a man was injured in a cab owned by Jacksonville Transportation Group. At the time, attorneys for Klotz Wilson said the move was a ploy to avoid paying a $241,000 judgment. "They'll just keep changing the name on the front of the building," Wilson's attorney, Tim Moran, said in December of the issue, which is not yet closed. Checker Cab of Jacksonville, the other company vying for the airport contract, calls what Meathe did a "shell game" because, it says, he simply ceased operations under the old company and "transferred substantially all of its assets" to the new parent company, according to a letter to airport executives. Grady Braddock, owner of Checker Cab, said he estimates the airport contract to be worth roughly $1.8 million for the winning company because it takes around 55 cars to service the airport, and each car is leased by a driver for $105 a day, six days a week. "It's a sizable sum," he said. Because the contract issue is pending, an airport spokesman said he could not comment. The biggest legal issue Meathe faced was a $43 million federal lawsuit from the Bank of Montreal, which lent Meathe-owned companies in Florida more than $40 million. Defendants listed on the suit include more than 10 taxi companies. Specifically, the bank said that Meathe skimmed money from the Florida companies that received loan money and referred to them as his "personal checking account." Among charges in the 14-count complaint is that Meathe had one of the companies "acquire" a Rolls-Royce Phantom for his personal use. The case was settled for an undisclosed amount, and many of the charges were dismissed with prejudice. In a 2010 Times-Union article about the lawsuit, Meathe called the charges "poppycock" and said the Rolls-Royce was not for his personal use. In a more recent interview, he called the settlement "irrelevant" to the airport contract issue. Court records also show that a judge in South Florida slapped Meathe with a $3.7 million judgment in June. That was related to debt on a luxury yacht named the Grand Floridian. Meathe and a partner ran the yacht as a business. He also is being sued for nearly $4 million by Michigan-based Talmer Bank and Trust on claims that he did not repay money advanced through three separate lines of credit. Meathe also owns companies in Michigan. Another lawsuit involves charges of federal trademark infringement. Metro Cars alleges that a Meathe-owned company used the term "Metro Marks" to advertise a chauffeur and transportation company, despite the fact that the term is trademarked. On June 25, a three-person JIA awards committee voted to recommend that Gator City get the new five-year contract, which must be approved by executive director Steve Grossman. Checker Cab filed an appeal based, in part, on its accusation and questions surrounding Gator City's financial health due to the judgments against Meathe. Checker believes he owns the company. Meathe sent a follow-up letter saying that because he no longer owns the company, personal judgments against him do not impact its books. "It's just not true," he said in an interview. "That stuff is irrelevant." A committee will rule on the appeal Tuesday.